Although the prevalence of hypoglycemia is thought to be high, blood glucose levels rarely substantiate this (Anderson and Lev-Ran, 1985). This situation changes entirely in the context of diabetes, where hypoglycemic episodes occur with a frequency and severity determined by the intensity of insulin treatment. Indeed, diabetes treatment is a balance (The DCCT Research Group, 1993) between the desire to prevent retinopathy, neuropathy and nephrology and the desire to prevent severe hypoglycemia and permanent brain damage. 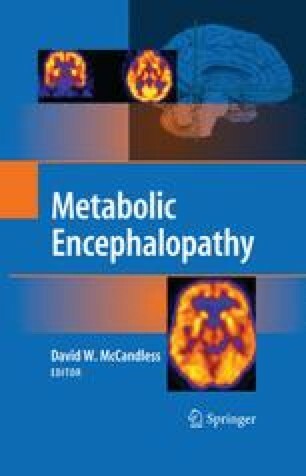 Knowledge of hypoglycemic brain damage is thus important in the clinical management of diabetes. But profound hypoglycemia also occurs in the context of insulin overdose of either homicidal or suicidal nature. Other clinical contexts include medication error, where insulin is mistakenly given to the wrong, non-diabetic patient or when insulin dose is miscalculated for a diabetic. Oral hypoglycemic mediations releasing endogenous insulin can cause hypoglycemic brain damage. Lastly, tumors of the β-cells of the islets of Langerhans, so-called insulinomas, can cause hypoglycemic brain damage.